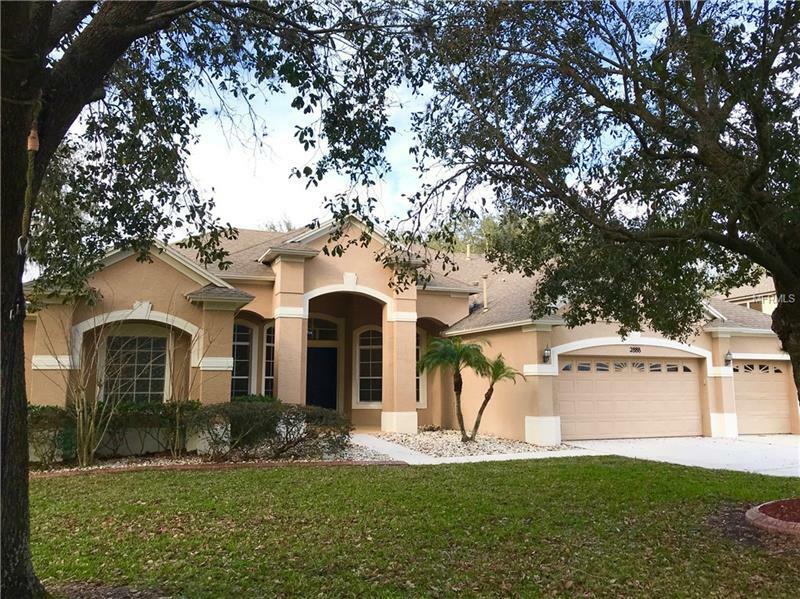 Spacious executive pool home in beautiful gated Oviedo neighborhood, Estates at Aloma Woods. Six bedroom, 4 and a half bath (bonus area and office count as two bedrooms). Lovely home features a large split plan including family room/kitchen combo, separate formal and dining rooms, downstairs master, and large upstairs bonus room with full bath. Soaring ceilings and views of screened pool and large patio area from all living areas and master bedroom. Plenty of cabinets in kitchen as well as stainless appliances, breakfast bar, closet pantry, solid surface counters, and island. Luxurious master suite has dual sinks and vanity with loads of storage, separate shower and soaking tub, his-and-her closets, plantation shutters. Office just off the master bedroom features built-in desk and storage cabinets. Three car garage, mature landscaping, fencing, oversized driveway with plenty of parking room, and cul-de-sac lot! Roof has transferable five year warranty.